Canberra, the capital of Australia, was created to appease the established cities of Melbourne and Sydney…..both of whom thought they should be the capital! 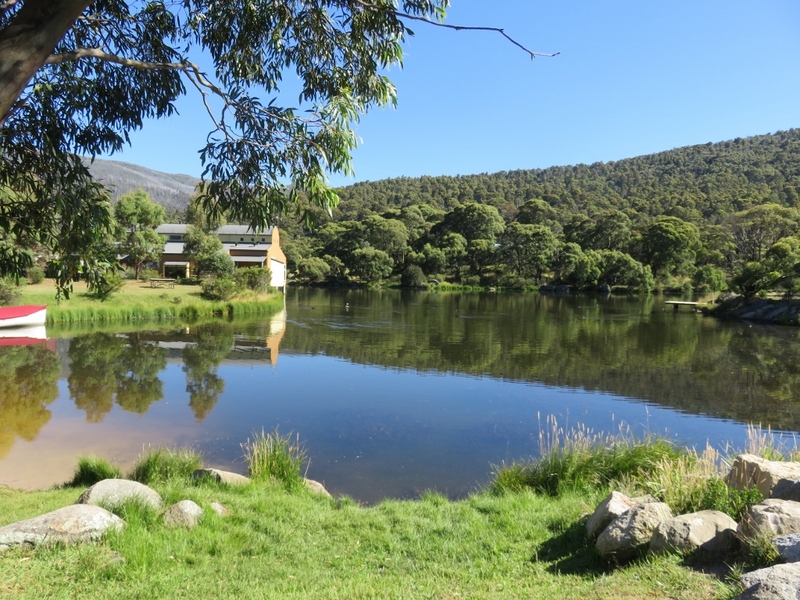 As a result Canberrans are lucky enough to live in a small manageable size city….. not too far away from big cities…and with two other holiday choices, the pretty South Coast beaches, and the Snowy Mountains, which is the highest Alpine Region in Australia. 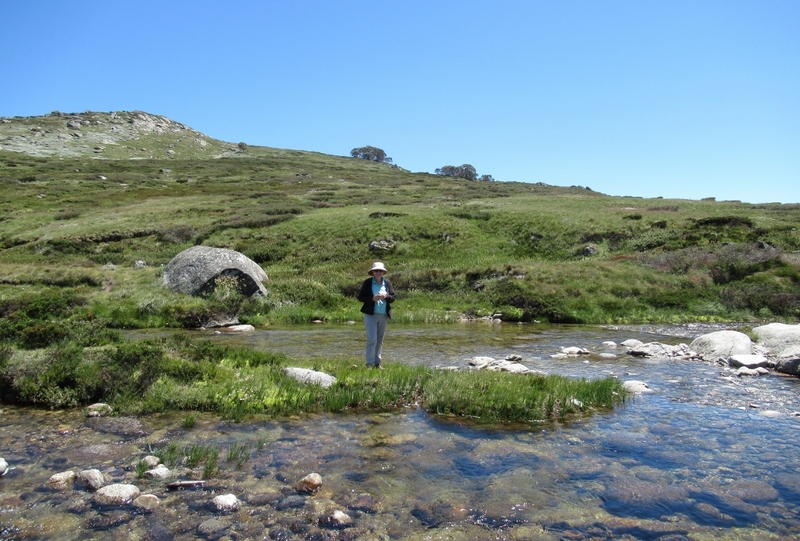 In the summer time, Paul and I often come to Lake Crackenback, which is just outside Kosciuszko National Park, to enjoy the cooler mountain air, and to do some walking and see the alpine flowers. 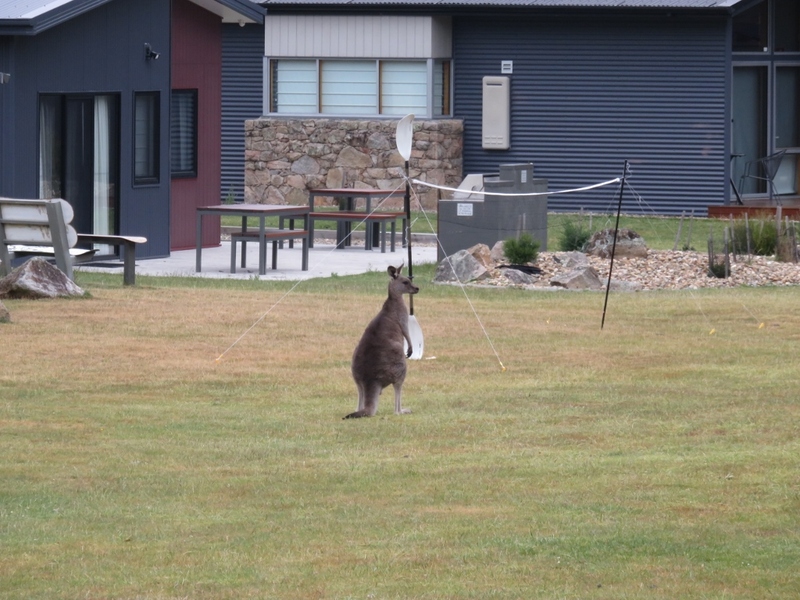 Lake Crackenback has a Lodge and some self-contained apartments, and nearby the kangaroos are frequent visitors. These kangaroos easily hop over fences to graze on the lawns, but will also hop away if you come too close. 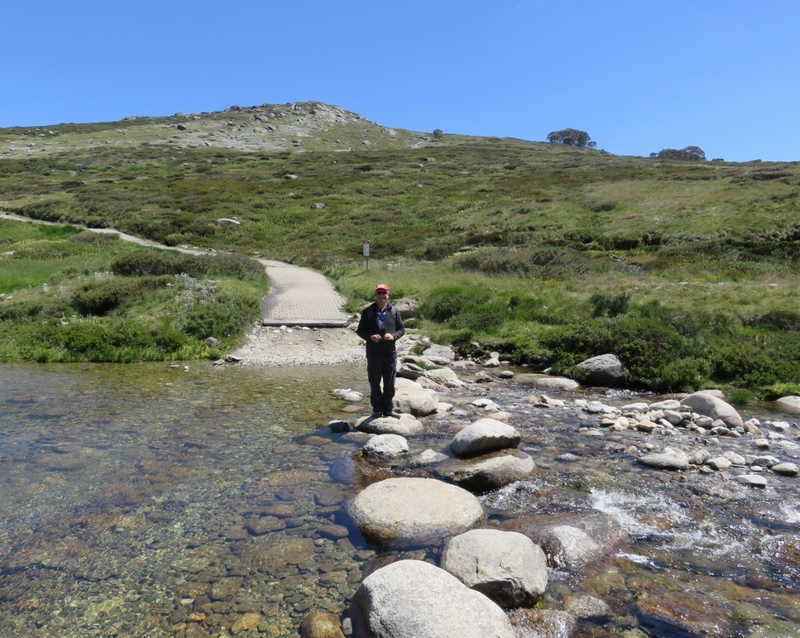 We took the walk from Charlotte’s Pass down to the head waters of the Snowy River seen below….Paul had ideas of walking up the path on the other side which goes to the Blue Lake…..but I thought we should quit while we were ahead! 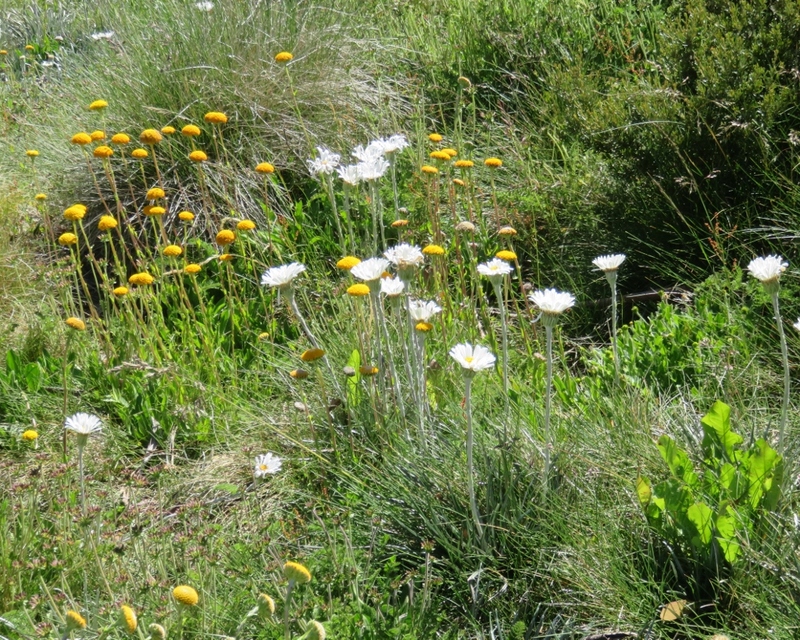 These Alpine plants cope with harsh conditions during the winter…. and then create this patchwork of colour during summer.. The yellow flowers, Billy Buttons. Australia is the only country in the world where a single genus of tree, Eucalypt (commonly called gum trees), occurs from the desert to the mountains, to the sea. 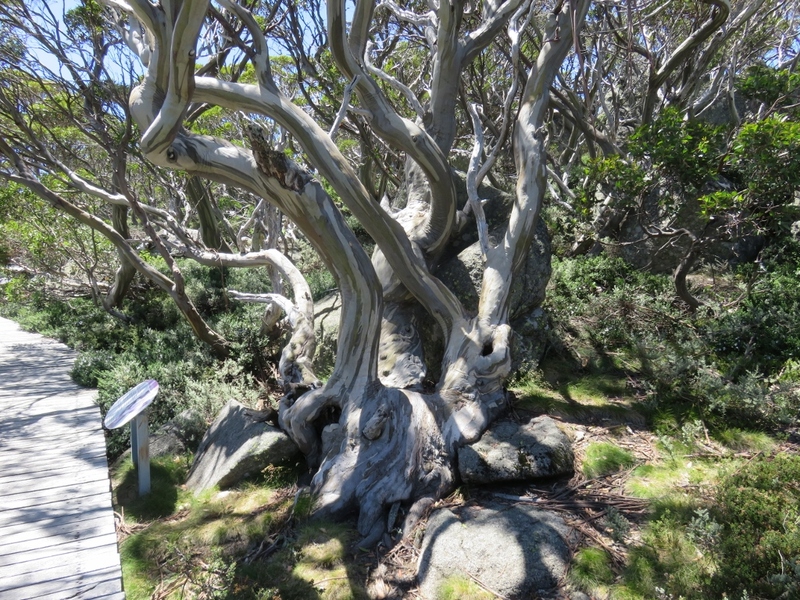 The Snow-gum trees are very imposing, often looking dramatically twisted and stunted, and able to repair themselves from wind and snow damage. 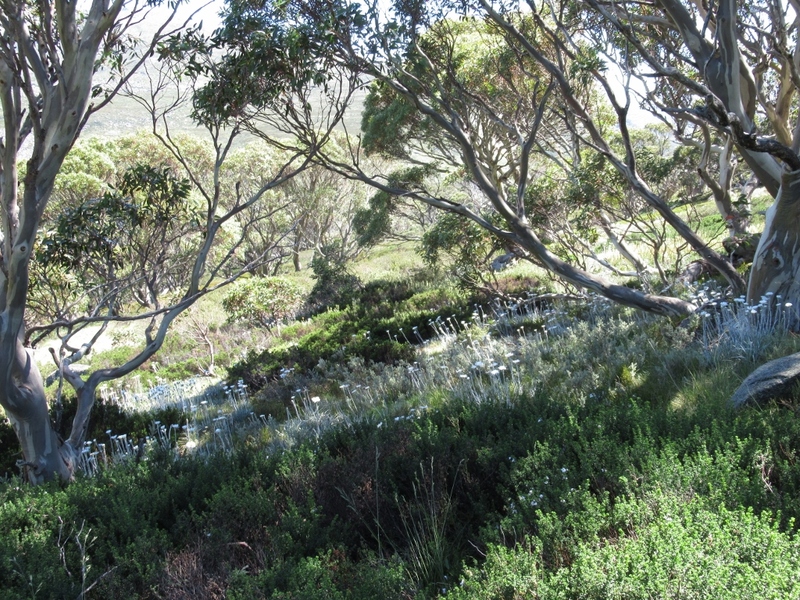 The Silver Snow Daisy makes a lovely carpet of flowers beneath the Snow gums. It is impossible to go past one of these trees without touching the silk-smooth trunk and branches. 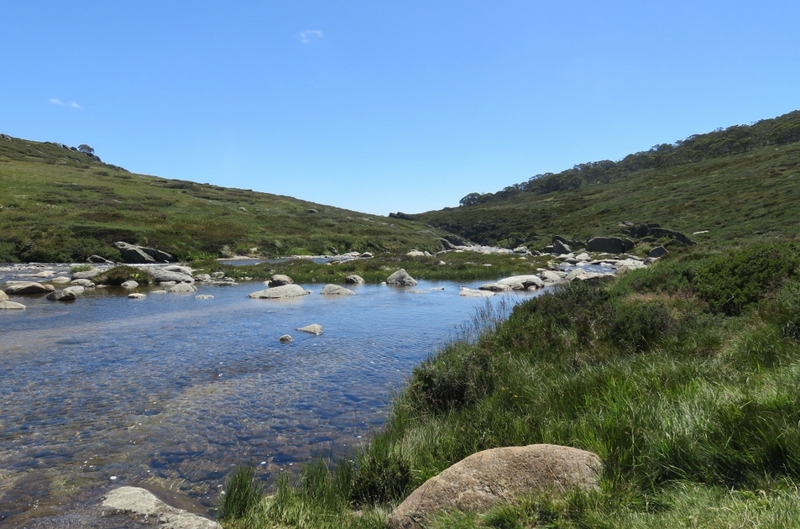 The water here is cool and clear…a lovely place to stop and take some photos..
Australia is such a dry country, water is always a delight to see..
Time to turn back….unfortunately what comes down……must go up…. However, the scenery along the way is worth it.. 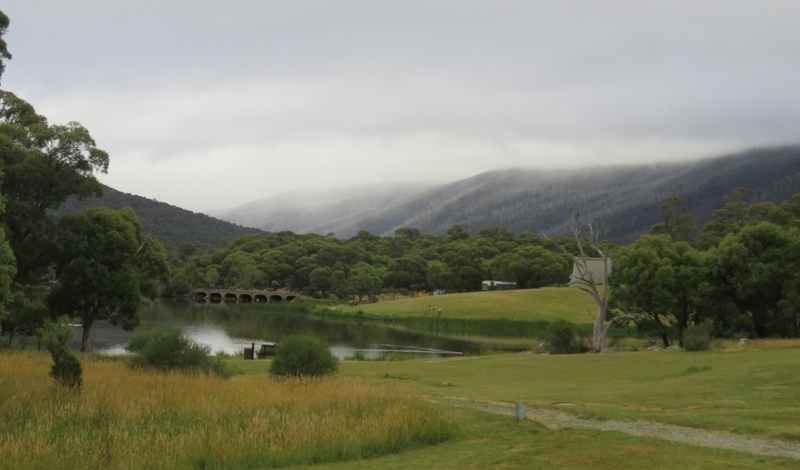 Meanwhile, at Lake Crackenback, the kangaroos are snoozing on the edge of the golf course…..amazing really.. Many thanks for dropping by to read about my place in the world, and I hope you are enjoying your own green spaces, city or country, where ever that may be…. 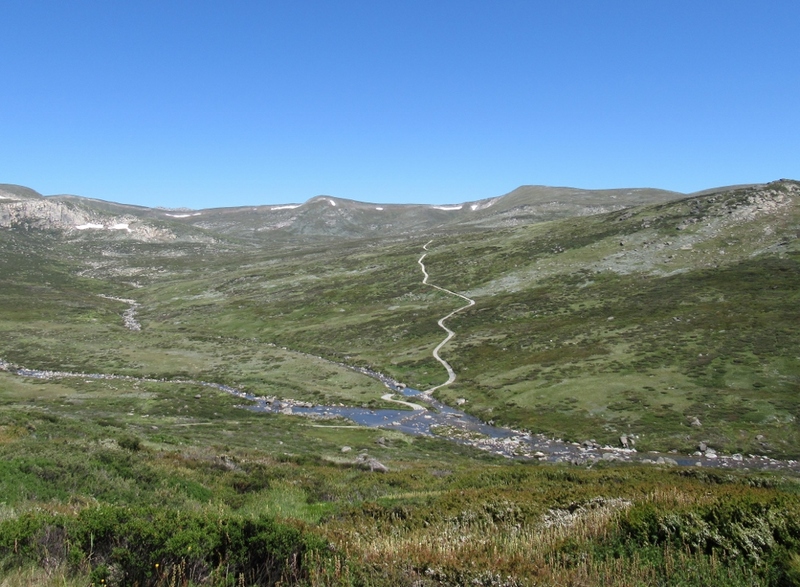 This entry was posted in Snowy Mountains and tagged Charlotte's Pass, kangaroos, Lake Crackenback, Mt Kosciuszko, Snow gums, Snowy Mountains, the Blue Lake, wild flowers on April 14, 2018 by germac4. I love being in the mountains, you took splendid views so that I could almost feel I was there, thank you. Glad you enjoyed the mountains Susan, I love mountains too.. Your photos really transport me to your crisp cooler climes. Stunning pictures. Glad you liked lovely Lake Crackenback, the air really is very crisp up there. 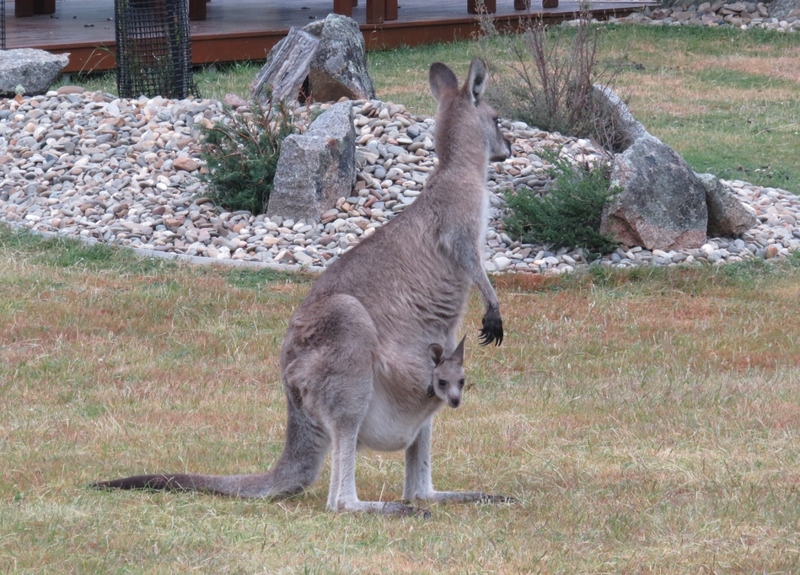 The kangaroos are very relaxed at Lake Crackenback, and having the baby in the pouch is a great way to travel I think! I’m with Judy. You’ve got it all. Beautiful scenery, flowers, those trees (! 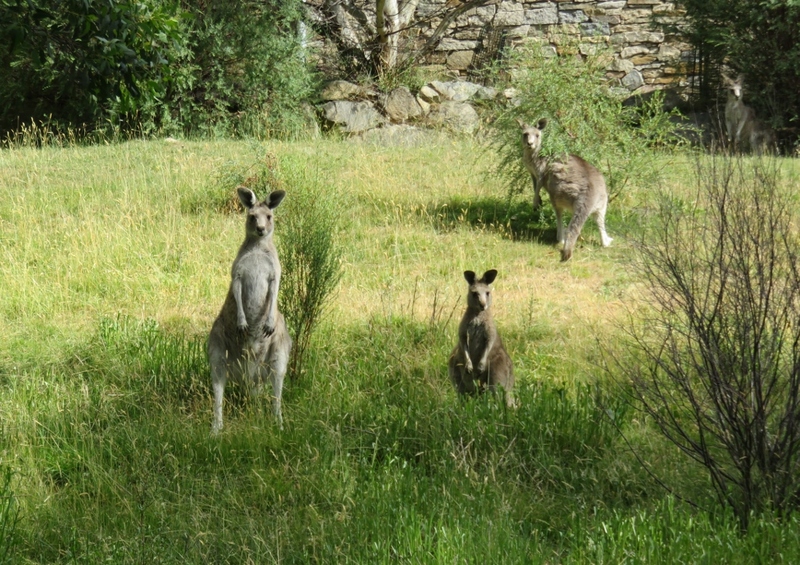 ), and last, but not least, kangaroos. I’m going to blush as I admit this, but until I started reading your blog, I didn’t know that Canberra was the capital of Australia. I always thought it was Sydney. Thanks to your blog, I now know the truth. Thanks Laurie, glad to know my blog is giving Canberra its rightful place……and don’t worry everyone we meet outside of Australia thinks that Sydney is the capital! I lift my eyes to the quiet hills. 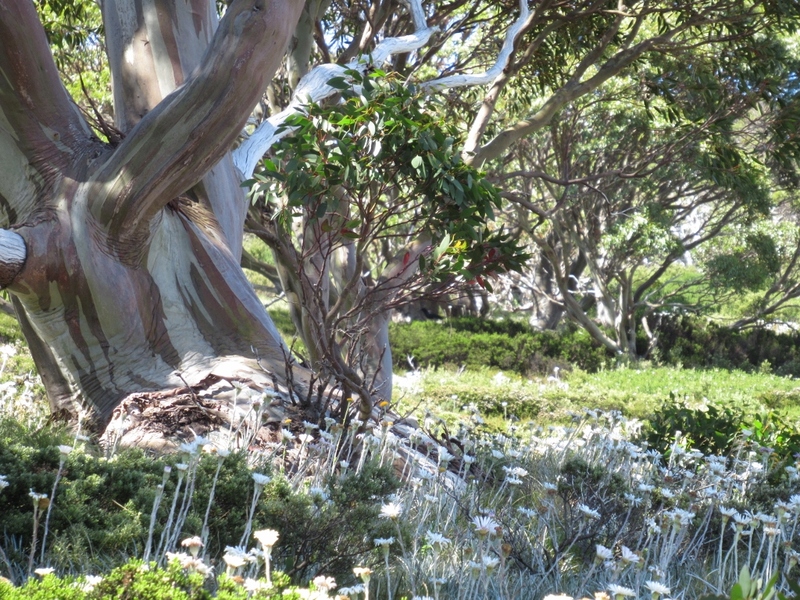 Silvery satiny snow gums look beautiful. 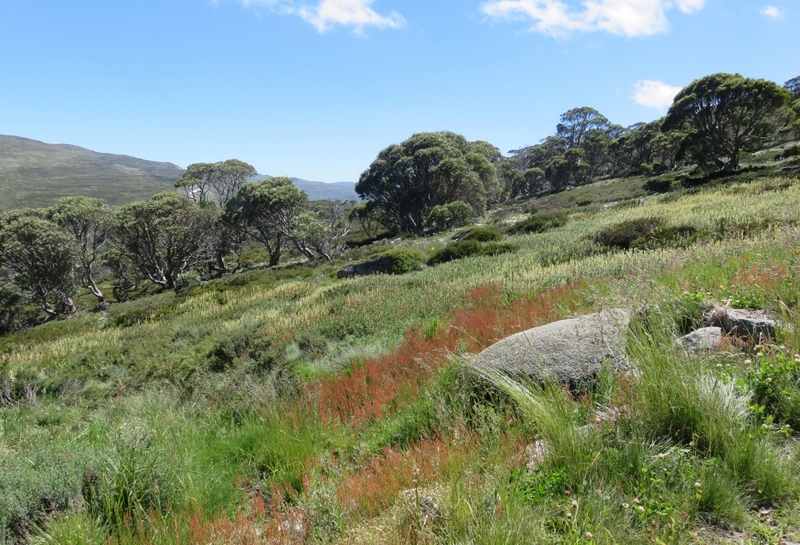 …yes the snow gums are my favourite, absolutely beautiful to look at and feel. Magnificent scenery! 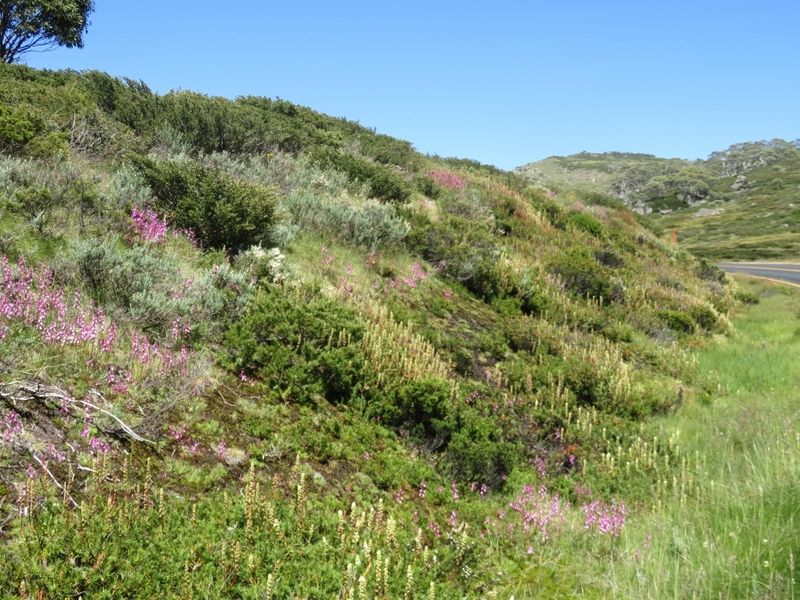 I love the wildflowers and mountain streams. The kangaroo wishing for a volleyball game looks quite despondent. When I think of Eucalyptus I think of California but these Snow Eucalyptus are so markedly different. 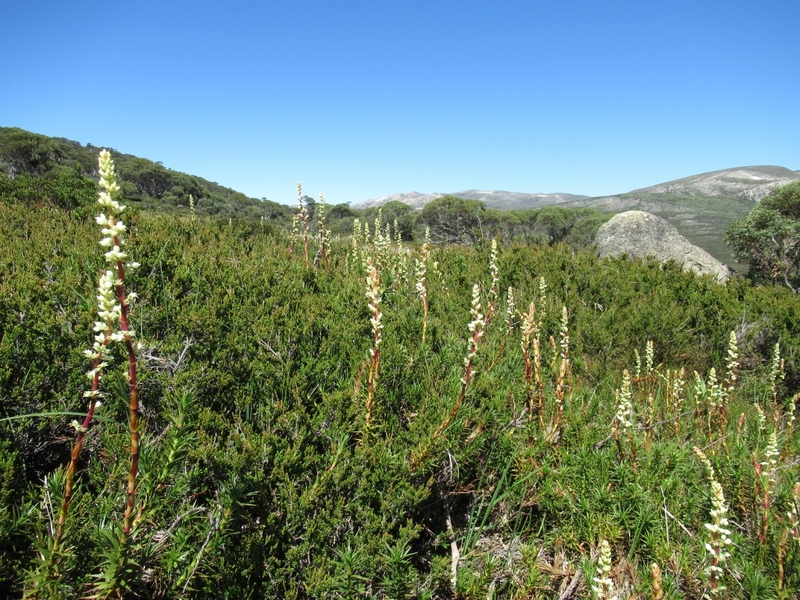 The Snow Gums are unique to the Alpine regions of Australia…there are quite a variety of Eucalyptus trees, and I believe some Eucalyptus trees are making pests of themselves in California and South Africa. Such a beautiful place and that water does look so clear and sparkling! I loved seeing the kangaroos especially the one with the little joey peeping out of her pouch! I agree Clare, there is something endearing about the joey’s sweet little face looking out of the pouch .. I must include a few more in posts. Jack worked on the Snowy Mountain scheme dam building. What tales he can tell about that time of his life. A beautiful part of the country and I loved the drive through all that scenery. I think they are going to make a film/documentary on the stories of men like Jack … Amazing how hardy they were living in those freezing weatherboard houses ( like paper!) in the middle of winter! Lovely photos Gerrie. Somewhere else to add to my list of places to visit! Yes, it is a beautiful place, and cool in summer! I’ve never thought of it before, but it is a little like the Lake District with the mists on the mountain. 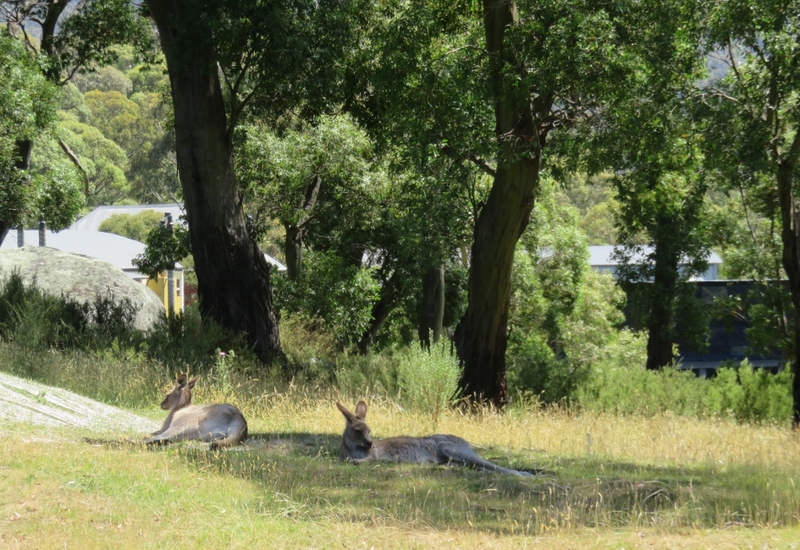 Glad you enjoyed the kangaroos, they are very laid-back at Crackenback. How beautiful it is there, Gerrie. Your kangaroos seem almost as plentiful as our iguanas. 🙂 I love the look of those snowgum trees. They look quite magical. Yes, the snow gums are really magical, a good word for them. Thanks Sylvia…hope all is going well in Florida.